March 17, 2017– the release date of the remake everyone was waiting for. The live-action version of the Disney classic, Beauty and the Beast has hit theaters. Released nearly 26 years after the original’s, in 1991. But, the wait was worth it. Many remakes of movies don’t seem to even come close to being as good as the original, that is not the case with the 2017 version of Beauty and the Beast. The alterations to the movie added and didn’t take away from the story itself. There may have been somethings I didn’t like but, they didn’t affect the story overall. Growing up, everyone watched Disney films. Among the most popular is the 1991 version of Beauty and the Beast. With the upcoming release of the remake of Beauty and the Beast coupled with the promise of Emma Watson starring as Belle, I was ecstatic. I watched trailer after trailer; each glimpse made me want more. I had high hopes for the film and it did not disappoint. Overall, the cinematography was amazing. The lighting was dramatic and the camera angles immerse the viewer in the experience of the narrative. 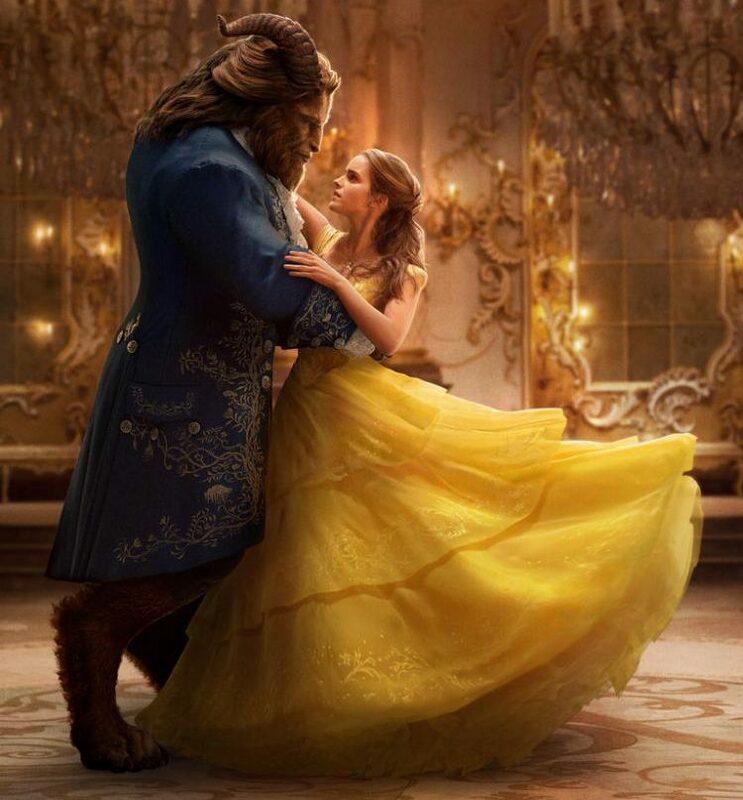 The costume of the Beast was so life-like and Belle’s dress was everything I’d imagined, a princess’s dream. The personification of the common castle objects is brought to life even more in the new version by computer-generated imagery. Lumiere, a candelabra and former human companion of the Prince, was given human traits that bespoke his human past. Not only was the CGI amazing, the additions to the soundtrack were much needed, including a solo sung by the Beast, entitled “Evermore”. There were many parallels between the old and new movie. Many scenes are the same, if not similar and the music used is nearly identical, excluding the addition of a few songs. However, there were some changes, from how the castle is portrayed to the more in-depth backstories to the attempted escapes by Belle. Although I enjoyed many of the changes, I also disliked a few. Such as one of the final scenes where Gaston, the handsome town “hero”, attempts to kill the beast. In the original he shoots The Beast with an arrow but, in the 2017 version, he shoots him with a pistol. There were pistols in that time period but, I feel as if it took away from the feel of the movie. I highly recommend this movie, its a great remake of an already wonderful classic. For those of you who don’t know, the story, set in France, it is about a beautiful young woman and a Beast. The Beast, an enchanted Prince, rudely sent away an old beggar woman, and enchantress, who offered him a rose in exchange for shelter for a night. The enchantress punished the Prince and turned him into a monstrous beast. As a reminder of the curse, she gives him the rose whose petals will slowly fall off until he permanently becomes a Beast. The only way to break the spell is for him to find true love. One day, Maurice, Belle’s father, got lost in the woods and found the Beast’s castle. At the Castle, he discovers a rose garden and he takes as single rose because Belle requested he bring her one back. The Beast imprisoned Maurice for stealing, Belle came to the castle and took her father’s place. From there a series of events happens and the relationship between Belle and the Beast progresses. The story of the Beauty and the Beast is told in third-person omniscient in order to allow the viewer to see everything that’s happening. Throughout the story there are many themes, the main ones being love and appearances. At first, Belle and the Beast despise each other but, as the story progresses they slowly fall in love. In the end, Belle even admits her love for him as he dies in her arms. Appearances, specifically that they can be deceiving is greatly emphasized in this story. The Beast, as hideous and frightening as he is, turns out to be a “good guy”. Meanwhile, Gaston, the handsome and suitor of Belle, is the “bad guy”. In the end, the remake followed the story line of the 1991 version extremely well and some scenes were almost identical if you were to put them side by side. Although there were new additions to the movie, it just made the overall story better. I would highly recommend watching Beauty and the Beast if you haven’t watched it yet and rewatching it if you have.